So you’ve mastered Hold’em and played your fair share of blackjack, but now you’re looking for something different. You’ve seen it advertised, you’ve seen it in the movies; roulette. In many ways the quintessential casino game, a spinning wheel, colourful numbers, and large crowds of people at the table playing. It is high risk, high fun. But before you start playing roulette online you need to learn how to play. You’ve come to the right place. 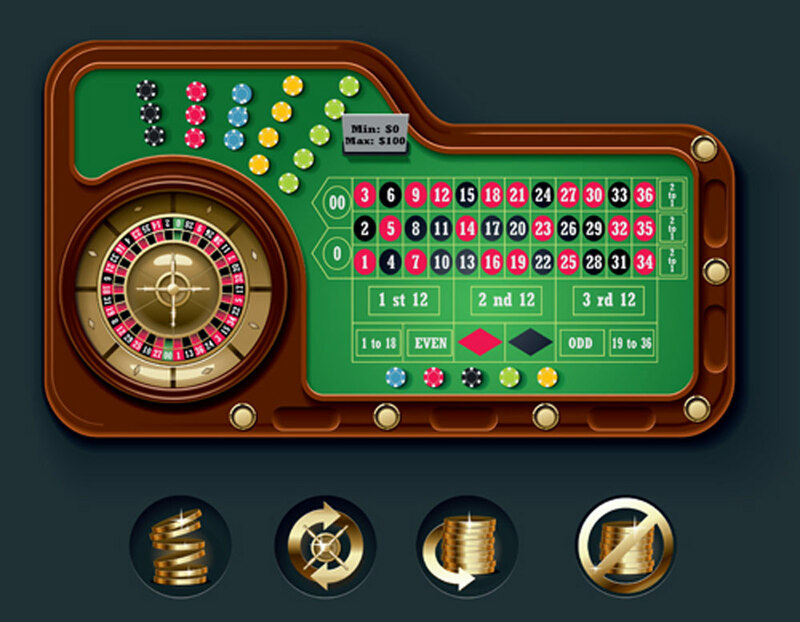 Roulette is a fairly simple game, but here’s what you need to know. Roulette is easy to play, hard to win. You will be faced with a a dealer, a wheel, and a table of numbers and colours. The simple bit is this: You place your chips on what you think will be the next number or colour, the dealer spins a ball around the wheel and you wait. Where the ball stops determines who wins and who loses. But now let’s go into detail with the roulette rules. At first glance the table seems simple and it is really. There are the numbers 1-36, each either red or black. There are ‘odds’ and ‘evens’, there is ‘red’ or ‘black’. You can bet on half the numbers with ‘1-18′, or the other half with ’19-36’. You can bet on four numbers by placing your chip on the corner of four numbers, a pair of numbers by placing the chip between two numbers, or 6 numbers by placing the chip at the bottom middle of 6. There are many ways to bet, all with different odds. For example, betting on a single number will give you odds of 35-1. These are the highest odds on the table and so the highest risk. On the other hand, if you were to bet red or black, or odds or evens, then you would be looking at odds of 1-1. Lower pay off, but lower risk. You need to decide what works best for you and what you can afford. Remember, this game has a high house edge. You may never have played roulette at a table in a casino so here is a good place to start learning table etiquette, especially with live dealer roulette. Each player will have different coloured chips. If you have the same colour chip as someone else, you cannot play. When the dealer says no more bets, that means no more bets. Some dealers will allow bets whilst the wheel is still spinning, but as soon as they tell you no more bets, you stop betting. This is where live dealer roulette comes into its own. You can get used to a real dealer before you take your online roulette to the casino tables. As we have mentioned, roulette has a high house edge. 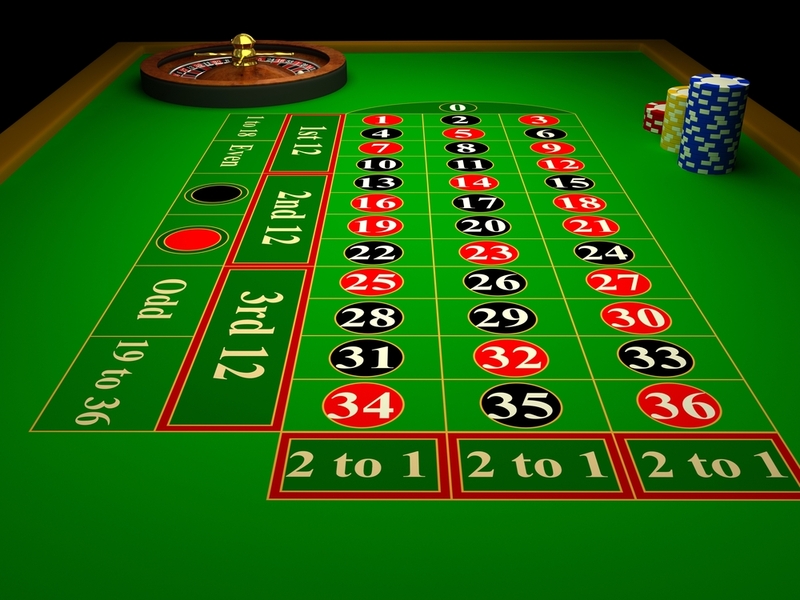 It is very hard to develop a strategy although most roulette players will think they have one. The fact is the wheel is totally random. The odds do not change, the numbers do not follow any pattern. Each spin is unique, separate from the last. Just because 5 came up last time, doesn’t make it any less likely that a 5 will come up next time. You could have seven 5’s in a row and it would still not decrease the chances of a 5 coming up again. Likewise, if the wheel throws up five red numbers in a row, it doesn’t make it more or less likely that the next number will be black. The odds remain the same. You will notice that there will be a board telling you what the last few numbers from the last few spins were. This is just to throw you off, and help the house win by convincing you that there is some sort of pattern emerging. By showing you that the last five numbers were red, they are trying to make you think that the odds are changing to make it more or less likely that the next number will be red. Just remember: THE ODDS NEVER CHANGE. Play your own game, ignore patterns you think you see emerging. The randomness of roulette is what makes it fun. It’s what makes the highs very high and the lows very low. But make sure you never spend more than you can afford to lose. Step One Is Learning The Game, Step Two Is Learning Your Poker Manners! You Have Learnt How to Hold’em, but Do You Know How to Manage Poker Tilting & Steaming? Casino Vip Programs – How To They Work And What Perks Are Included? What Beats What In Texas Hold’em poker?